I was hoping to meet with @TheSockMob today (31.10.10) and join them for their Temple tour; sadly it was not to be 😦 Time was not on my side and the situation did not allow. However all was not lost and despite the change of plans there were a great number of things to do in London today in celebration of Halloween. 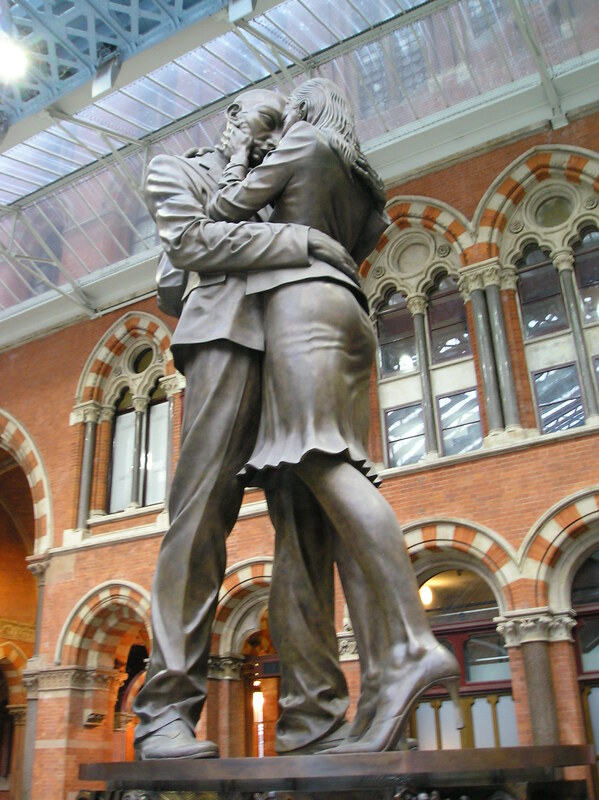 Since Kings Cross St Pancras was the closest to home and as they were hosting an event I decided to stop off there. Am I so glad I did. 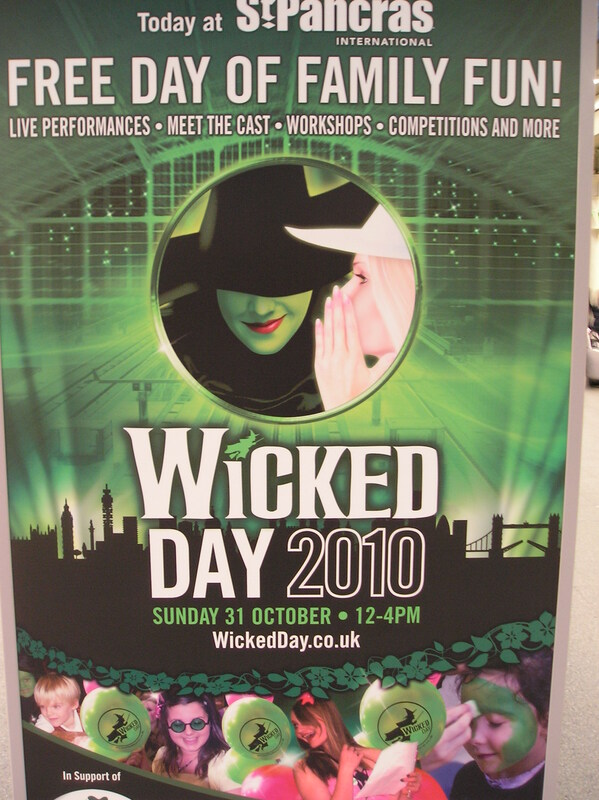 the stage show ‘Wicked’, together with The National Woodland Trust were hosting an event with face-painting for the kiddies, and a singing competition amongst other fun things to do. 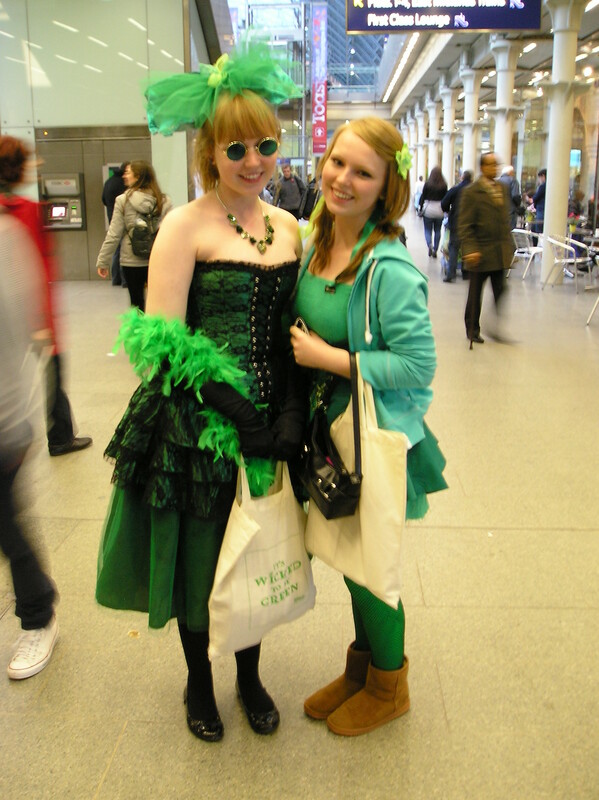 Along the way I met two delightful young ladies who were all dressed up and into the swing of things!! 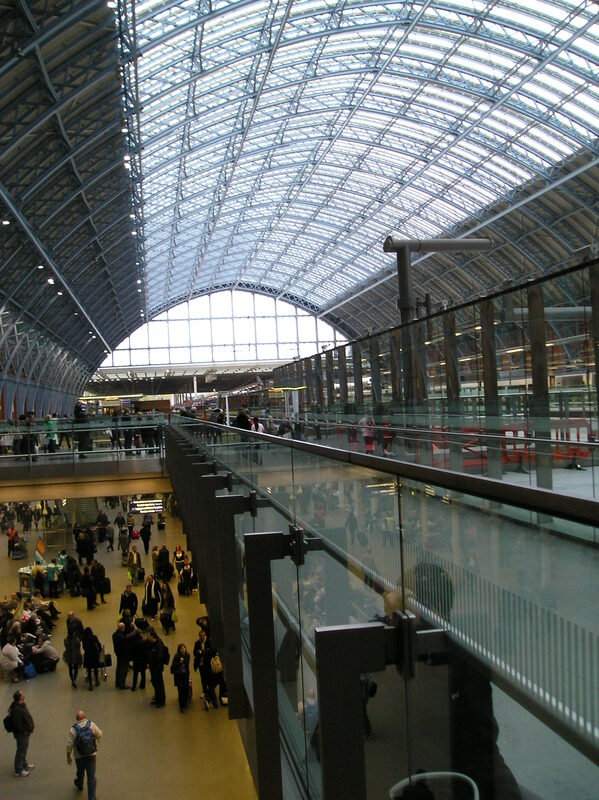 St Pancras is a fabulous venue in itself and of course home to the Eurostar. The concourse is huge, very airy and bright with the fabulous roof that recently featured in ‘Climbing Great Buildings’ presented by Jonathan Foyle. 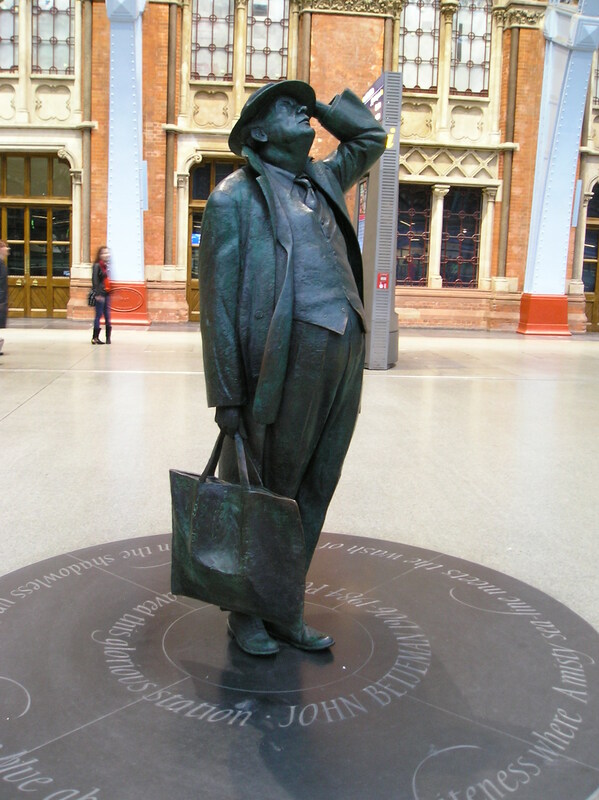 and to my delight I came across a statue of Sir John Betjeman. Co-incidently he lived in a house not far from where I live and went to school in the area. I stopped off to watch the singers and then to my delight Lee Mead gave us a final rendition. 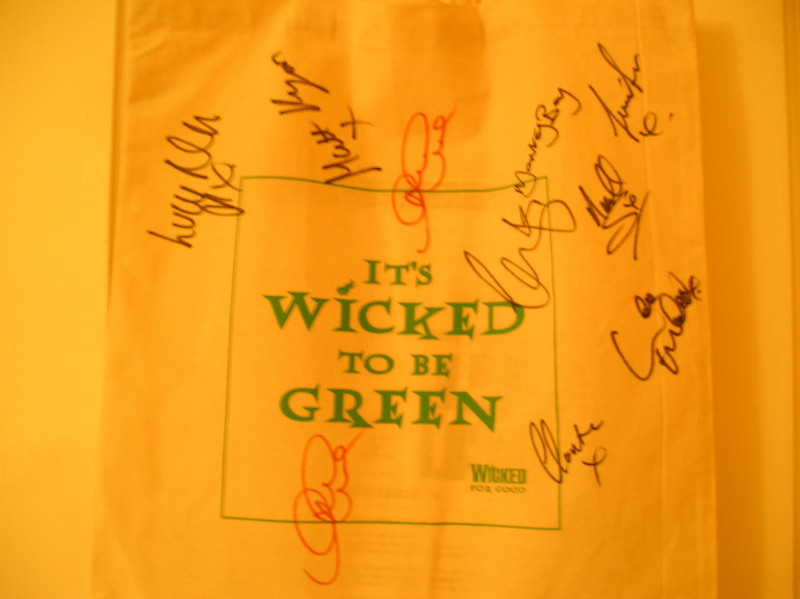 The cast of Wicked were on hand and had performed earlier. After the show the cast and Lee Mead were giving autographs and even though I am not at all a person who stands in queues to get autographs….today I made an exception. 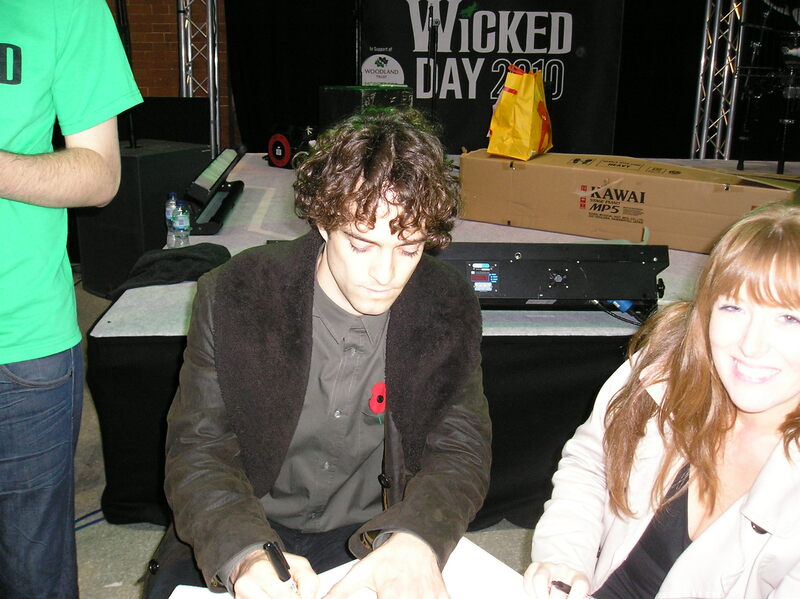 And so 15 minutes later ( *raised eyebrows* ) I finally got to the table and there only inches away was…’Joseph’ aka Lee Mead ! whoa!!! how exciting. The story behind my delight is that many many years ago when ‘Joseph and the Amazing Technicolour Dreamcoat’ first performed on stage in London I was desperate to see it, but South Africa is over 6,000kms away from London and it was an impossible dream. Then I came to live in London and suddenly anything was possible. A few years on and there were plans to re-stage the play and auditions began to find the new ‘Joseph’. The winner was Lee Mead. One day I mentioned to my daughter how much I would love to see him on stage…..and voila that Christmas in my stocking was a ticket!!! dreams do come true. 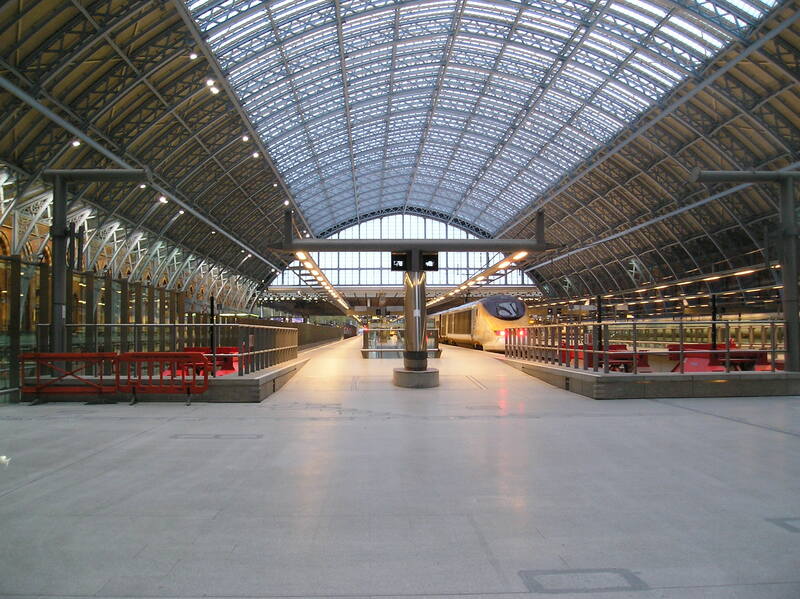 So even though I did not get to tour Temple, I did get to see Lee Mead which was a totally unexpected surprise and I also got to visit St Pancras for my 3 days in London blog. I have already been a passenger on the Eurostar; in 2005 when my daughter and I went to Paris and again in 2008 when I went to Paris again for a seminar with Keith Cunningham. Awesome! I loved reading your blog thanks for sharing your thoughts. I am glad you managed to tag on the end of the queue for an autograph. Have you seen Lee in Wicked yet? He cuts a very dashing Fiyero. Glad you had a great day – I was there but thought the organising of it was awful so came away early and missed the gorgeous man himself!! Definitely worth seeing him in Wicked – try and sit as central as you can to the stage – you will then get all the best views of Lee, of which there are lots to enjoy, appreciate, drool, thud and mush about!! I love the slogan, Over the Hill and Still Travelling. Great that you got to see Lee, he’s lovely isn’t he? Have you thought of going to one of his concerts? A whole evening of Lee, bliss!! Hi Sue, thanks so much for dropping by. thanks for the comment re my slogan….it fits me perfectly 🙂 Yes, he is a lovely lad. I have been to see him in Joseph and am planning now that I know he is in Wicked, to go see that too. His voice is magical. HelloTrish! Thanks so much for dropping by. yes, I was quite thrilled and of course Joseph was just wonderful. I have yet to see Wicked myself and thank you for the heads up on the final date!!! need to get my priorities straight and book a ticket!!! one of those things you kinda think is gonna last forever and suddenly it’s over. So I shall be making my booking immediately. 🙂 enjoy the show.